Hall C is versatile with 80 feet of removable wall which opens to Hall A allowing for more space if needed. 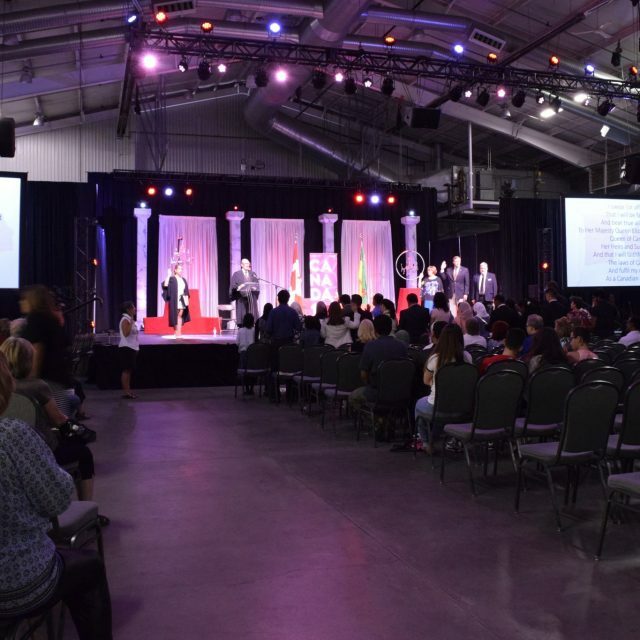 This hall can accommodate large product or staging due to its high ceiling height of 35 feet. Great for large presentations or trade shows and accommodating large equipment. Trade shows, entertainment venue, sporting events and more. High ceiling allows for display of larger equipment and extensive production for your event.